Fix the leaky pipeline – Fix the leaky pipeline ! 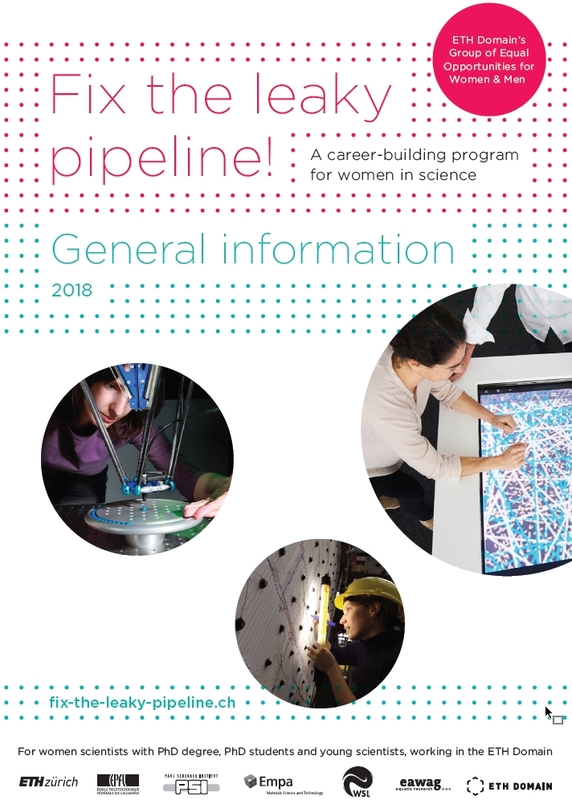 The Fix the Leaky Pipeline program offers young female scientists (doctoral students, postdocs and other young scientists) the opportunity to reflect on their professional situations, to develop a strategy for embarking on or continuing their career paths, to receive targeted further training, and to extend their personal and scientific networks. The aim, actively supported by all institutions of the ETH Domain, is to support women in their career building and to fix the ‘leaky pipeline’ of women in science. The program addresses female doctoral students, postdocs and other young scientists working in the ETH Domain. Participation in part of the program is possible. The ETH Domain’s group for Equal Opportunities for Women and Men brings all Equal Opportunity officers in the ETH Domain together. It is a platform for networking, exchanging of know how and for taking advantage of synergies. Its objective is to organize trainings and to work out positions and proposals in order to implement Equal Opportunities. 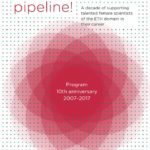 The program celebrated its 10th anniversary by publishing a collection of testimonies of former participants and coaches, showing how the program supported talented female scientists to find their specific career paths. for female Doctoral Students, postdocs, and group leaders. 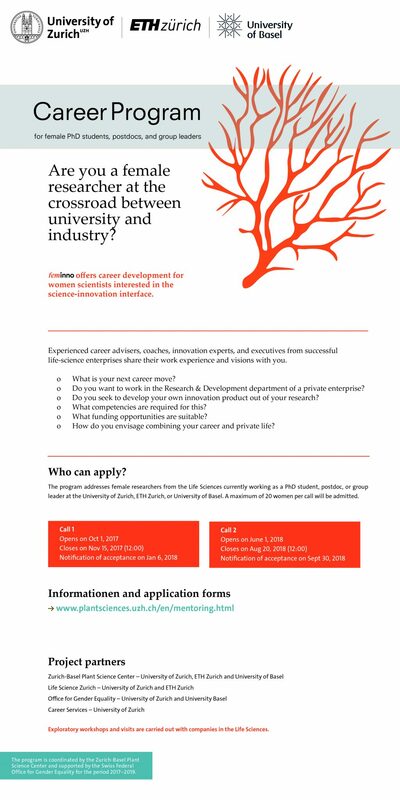 Are you a female scientist at the crossroad between university and industry? Both FLP teams organised a kick-off event on May 28 at EPFL and on June 6 at ETHZ to launch its first round of the one-to-one mentoring program, which will support 39 pairs. The event, also meant as an occasion for gathering and networking, allowed both mentors and mentees to learn more about mentoring and each side’s expectations. January 2018 Since 2011 Alexandra von Schack worked as the Project Coordinator at EPFL with a lot of commitment to the young female scientists. In the future she will concentrate on her job as head of communication for the College of Management of Technology. Thank you Alexandra for you dedication to the FLP program during all those years. Kristin Becker van Slooten and Chantal Mellier have taken over her position. .
November 2017 Are you a female researcher at the crossroad between university and industry? Then you might be interested by the career development for women scientists offered by feminno. Experienced career advisers, coaches, innovation experts, and executives from successful life-science enterprises share their work experience and visions with you. The Fix the Leaky Pipeline has published its 2017 program with a brand new layout on its website. The aim of the program organized by all institutions of the ETH Domain is to support women in their scientific careers and in the process to fix the “leaky pipeline” of women in science.